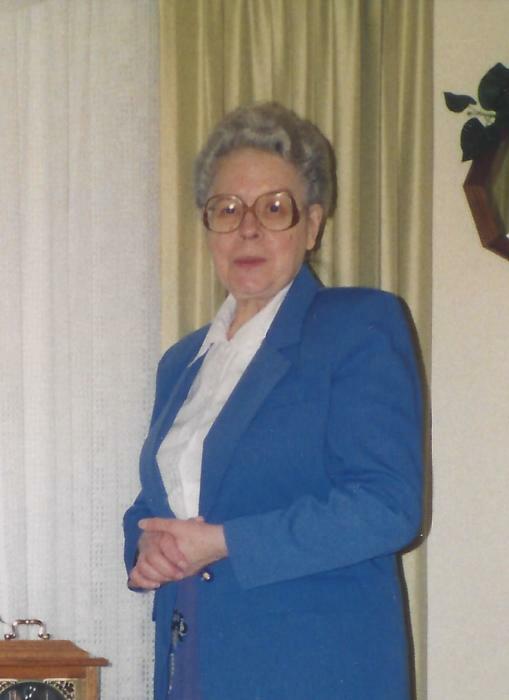 ETHEL LORENE SCHILLING, age 87, of Luverne, formerly of Ellsworth, died Monday, April 15, 2019, at the Parkview Manor Nursing Home in Ellsworth. She was born July 17, 1931, in Osceola County, IA, to George and Martha (Bruns) Schilling. She attended rural school Elgin District #3 until the 8th grade. She Graduated from Ellsworth High School in 1949. Ethel began working as a teller at the Ellsworth State Bank in June of 1949. She continued to work at the bank until she retired in 1998. Ethel moved to the Oaks, in Luverne, in February of 2011. She enjoyed her nieces & nephews, and baking angel food cake. Ethel is survived by her brother, Clifford (Sharon) Schilling, Ellsworth; three sisters, Marjorie (Henry) DeBerg, Sibley, IA; Marlene (Martin) Laverman, Ocheyedan, IA; and Georgia Mae Sterler, Hartley, IA; sister-in-law, Faye (Edward) DeBoer, Ellsworth; twenty three nieces & nephews; and many grandnieces & nephews and great-nieces & nephews. She was preceded in death by her parents; a brother, Donald Schilling; a sister, Leoris Deutsch; two nephews, Mark Lloyd and Scott Sterler; and twin infant nephews. Visitation will be from 5-8 pm Wednesday at the Dingmann Funeral Home in Luverne; and also one hour prior to the service at the funeral home on Thursday. Funeral will be 10 am Thursday at the Dingmann Funeral Home in Luverne. A private family burial will take place at Grand Prairie Cemetery in Ellsworth. In lieu of flowers, memorials are preferred to the donor’s choice.